Offering a compact size and discreet carry options, Undercover items are easy to conceal. They'll go undetected until right when you need them, when they are quickly deployed for self-defense. 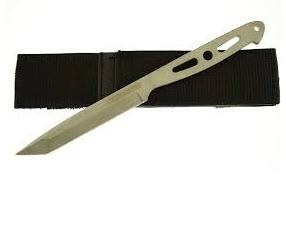 This tactical slim line tanto features an AUS-6 stainless steel blade and includes a nylon covert belt sheath.